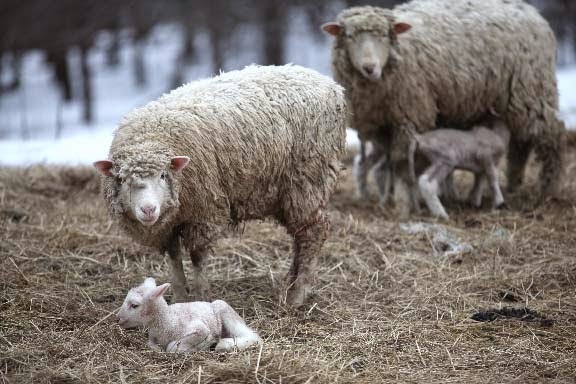 We are off to a family lunch but I wanted to pop in and wish you all a Happy Easter and Happy Spring from all of us at the farm. Here are a few photos of some of the new arrivals from earlier in the week. 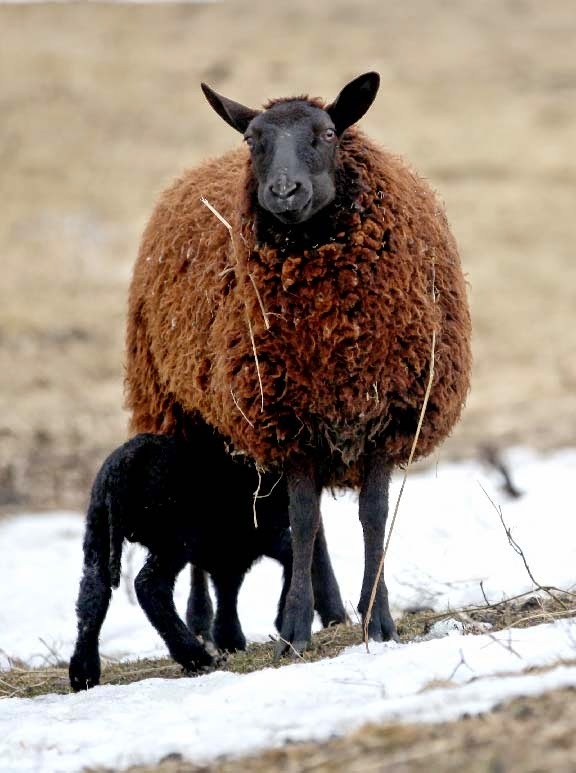 The snow is almost gone now and the sheep are beginning to poke around looking for any green shoot they can find (wishful thinking!). 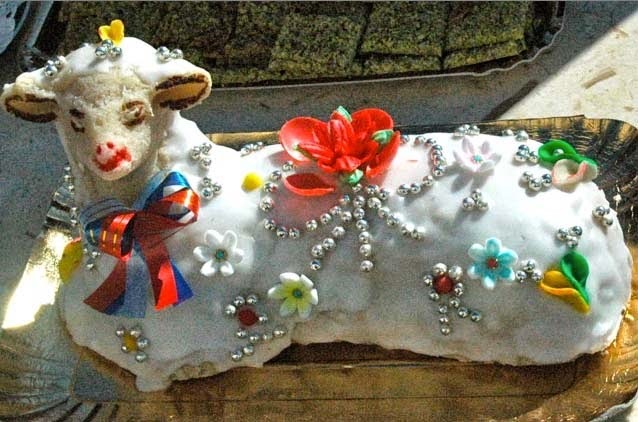 I just discovered this beautiful Easter tradition from Sicily via Julia Della Croce -- almond paste Easter lambs. So sweet - all covered with flowers and beaded confections. Did anyone grow up with this tradition? Made of marzipan, this is a sweeter rendition of the butter lambs (also sweet in a different way) from the other day (see butter lamb video here). Here are directions to make a butter lamb. Happy Easter to everyone who celebrates and Happy Spring to everyone in the Northern Hemisphere! I imagine it would be possible to make your own mold using plaster of paris? I have the cake molds to make this very cake which I have traditionally made for Easter--chocolate cake, boiled frosting, lamb sitting on a bed of green coconut and jelly beans. I did not know it was traditionally made entirely of marzipan! The head used to fall off of the cake every couple of years so we either used toothpicks to hold it up or laid it on its side with the head next to it and referred to it as the sacrificial lamb… It tasted just as good! This year I made a polka-dotted cake (6" diameter with three layers) and chocolate frosting and sprinkles all over it.